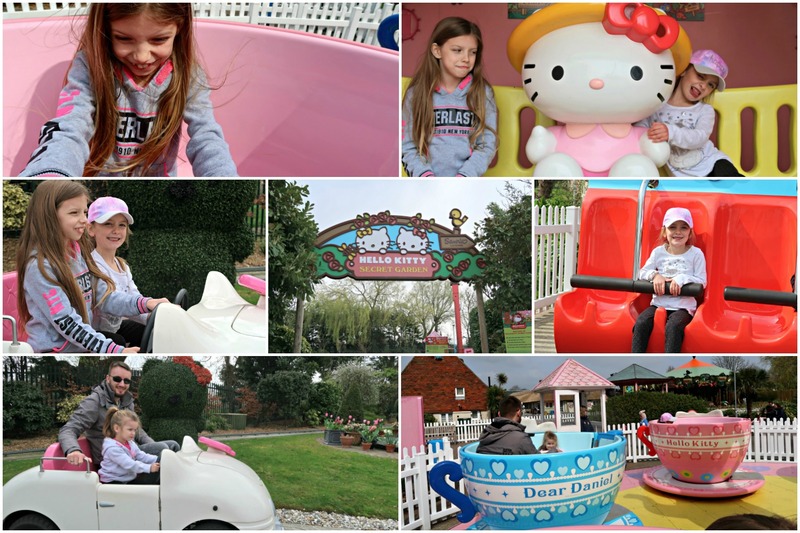 The post Best Type Of House To Make Your Kids Happy appeared first on Life With Pink Princesses. Thinking always seems to be that you should upgrade your housing as your family expands and this makes perfect sense, who wouldn’t want a nicer place? 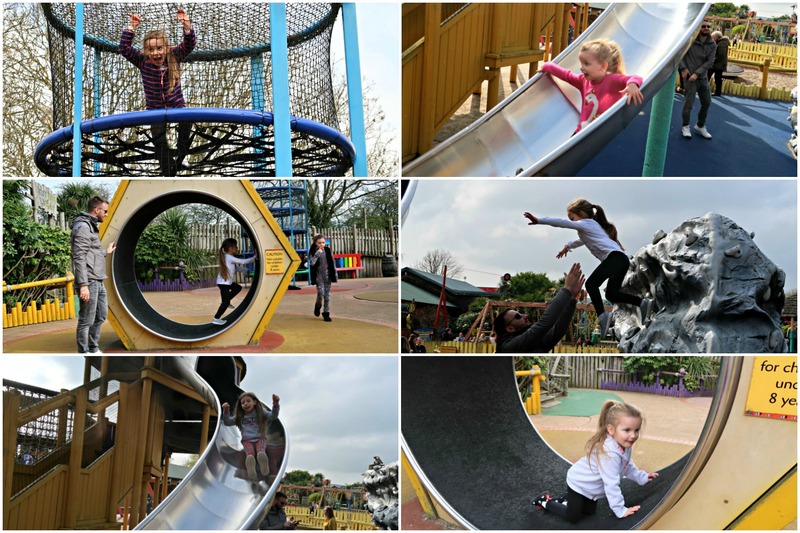 The question really is though is what is the best setting to bring up children, what would be best for their well-being and also what would make them happiest. 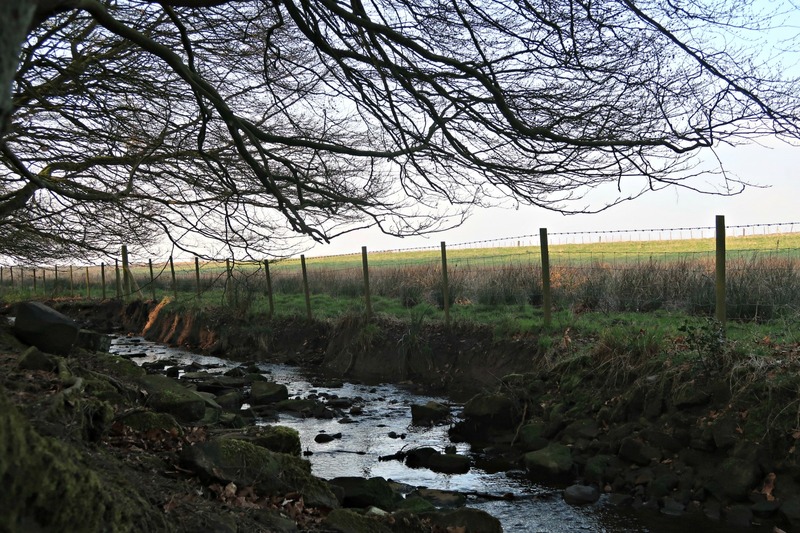 Is it best to have a family home out in the countryside or back in the town or city? 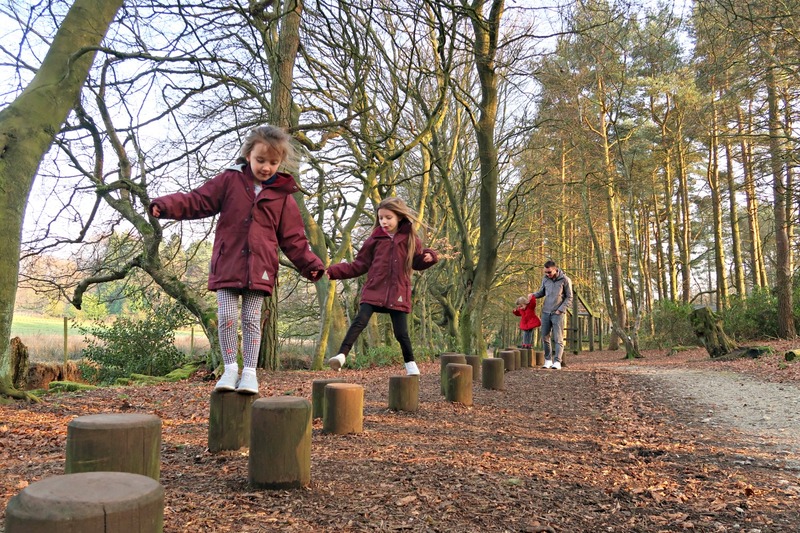 It’s clear that there are advantages in both scenarios, in the country children will have room to play and run around, have access to nature, teaching them about the land, food production and nature, another good benefit is that you will have more time to play with them and spend time with them. 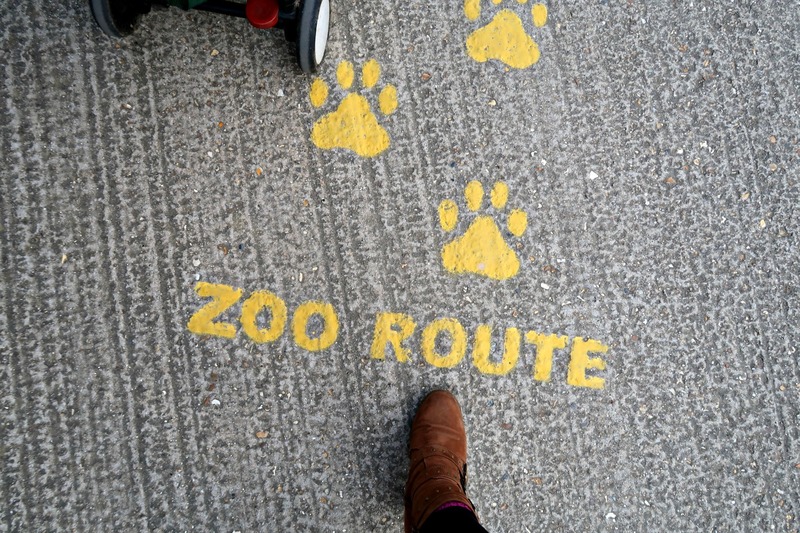 Living in an urban or suburban area though would give different advantages, there would be more opportunity for social and leisure activities such as museums and galleries, zoos etc. Size! How Much Room Do You Need? You might get to a point where you are considering upsizing to give more space for your expanding family. This all sounds great but you need to carefully consider if this is the best option for you. There will be a considerable expense involved in upsizing, you will have mortgage increases and extra furniture needed and even council tax could be a lot more. You might have to consider that to upsize you may end up in a different area and is that really worth the extra space? If your children currently share a bedroom the idea might be to give them their own rooms, but take time to see if this is what they want as they may be happier sharing as this helps them having a sibling close by. Before making any decision on this it might make sense to check out what you can get based on what mortgage you can afford and see if it’s worth it. Are There Any Benefits To Renting? 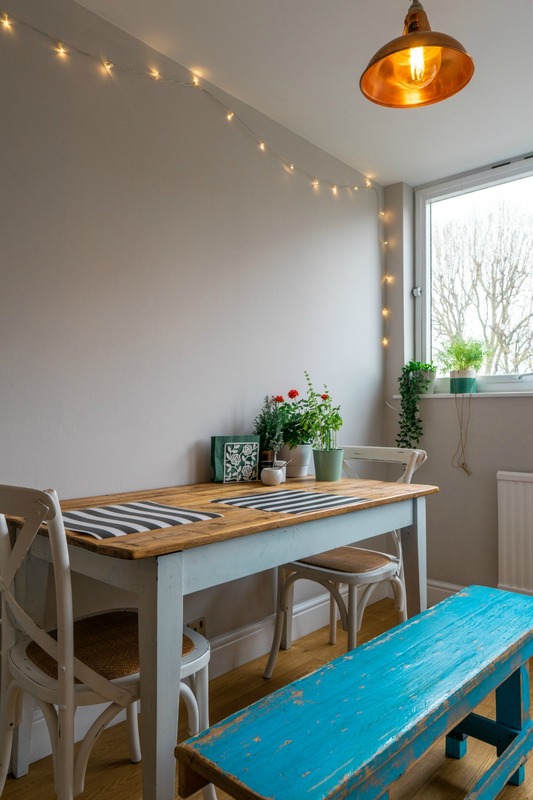 We generally think about purchasing when we are discussing whether or not to upsize or move house, but sometimes it’s beneficial to consider the prospect of renting a home. There are a surprising amount of benefits to making the choice to rent such as you don’t have the stress of having to replace expensive items as they break or fall into disrepair, often with no or little warning, examples being something like a failed boiler which the cost of replacing potentially running into the thousands. You also will have a much greater degree of flexibility as cancelling a lease is much less complicated than selling a house on, so in the event of a career change you can move on with relative ease. When moving take time to research schools and local facilities before committing to any move. Check not only good schools are in the area but that they actually have places available and take the time to ask for a visit and talk with the teachers. 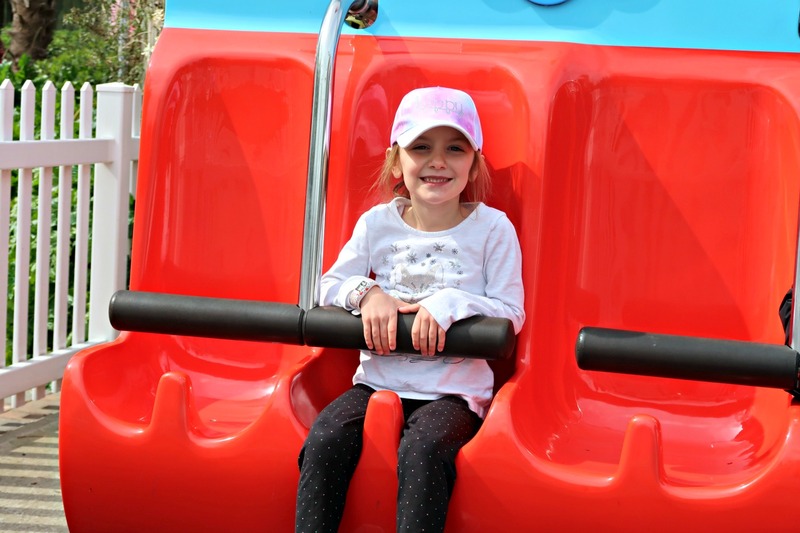 The post Family Holiday To Pinelodge Holidays Darwin Forest appeared first on Life With Pink Princesses. Back in the summer last year we headed to BBC Countryfile Live for the first time. Whilst there we enjoyed scorching weather and the opportunity to chat to lots of different brands. 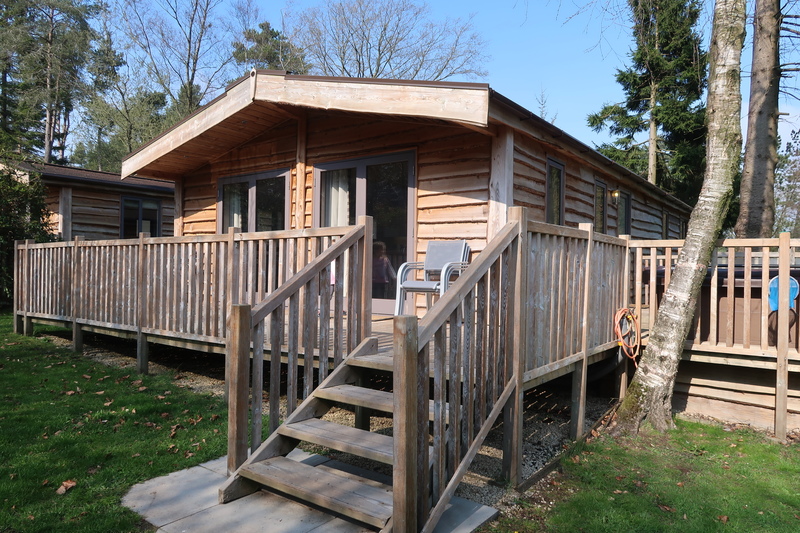 A few months later we were kindly offered the chance to head to the Peak District and stay with Pinelodge Holidays. 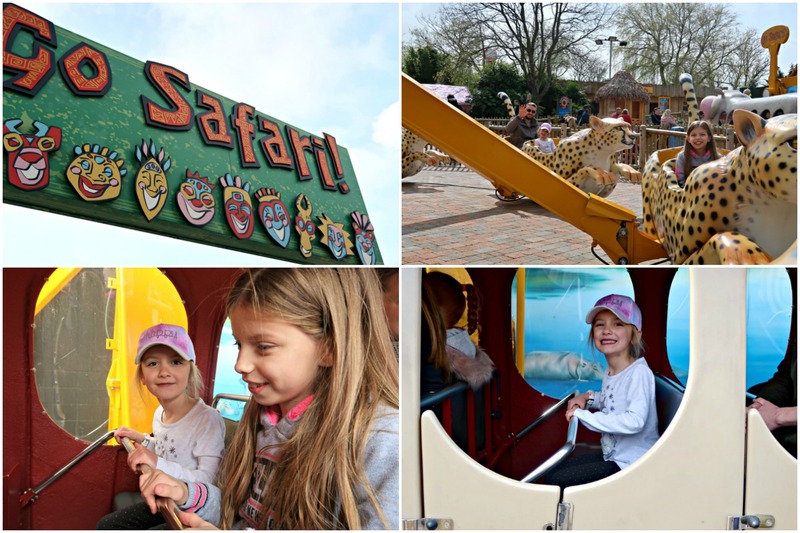 This post is a dedicated review of Pinelodge Holidays, I have five other posts in the pipe line explaining and sharing more about what we got up to during our stay so please pop back to read those. Pinelodge Holidays has two resorts. We stayed in the Darwin Forest. 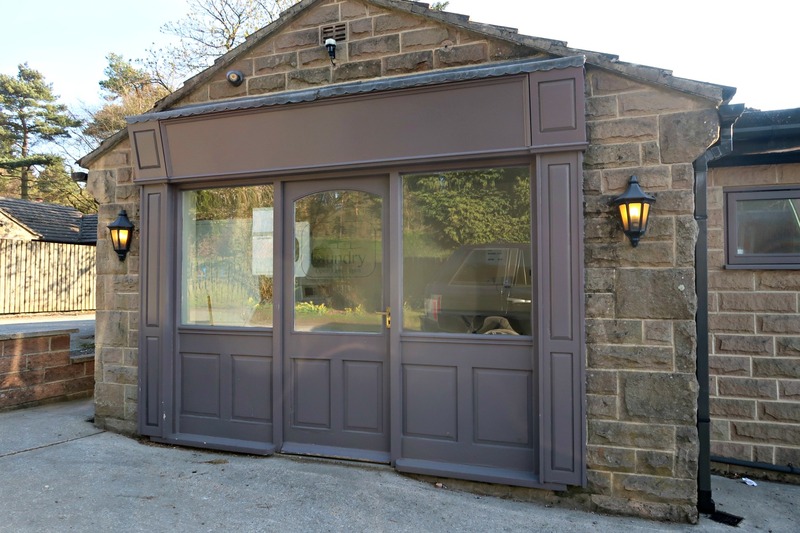 It is set in 47 acres of mixed woodland between Matlock and Bakewell in the Derbyshire Peak District. Basically it’s the furthest we’ve been up North as a family! It took us just under 4 hours to drive from where we live in West Kent. Pinelodge Holidays Darwin Forest is in such an idyllic location. It’s literally in the middle of nowhere along country roads and beautiful hillside. As you arrive you are hit by tall trees and woodland. We opened our car door to the countryside smell and no car noise, just peace. There are lots of different accommodation sizes in Darwin Forest. 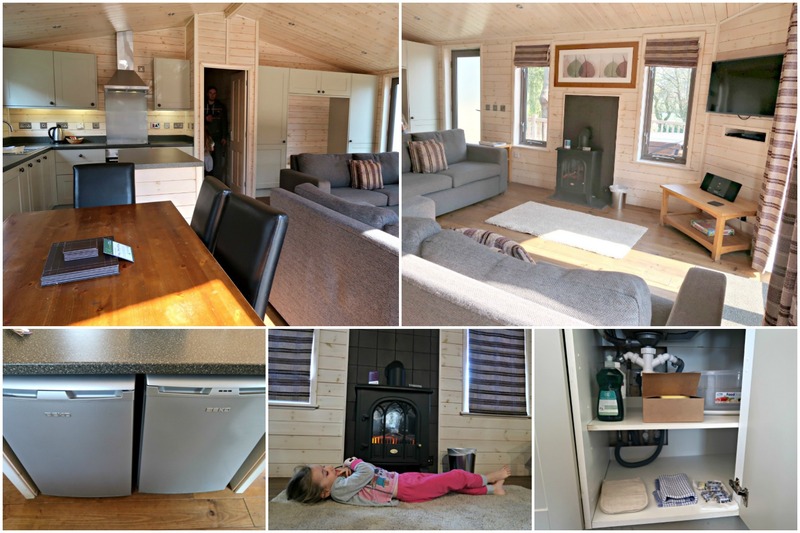 The Luxury Log Cabins can sleep from 2 to 8 people. We were lucky enough to be gifted our stay in an Elite Vogue 3 bed log cabin (I’ll refer to it as a lodge for this post) with Hot Tub. Our lodge was really close to the carpark, you could see it over the hedge, initially the potential noise and being overlooked concerned us but in the end we didn’t feel overlooked and there certainly wasn’t any noise to bother us. It was very useful being close to where the main buildings were. 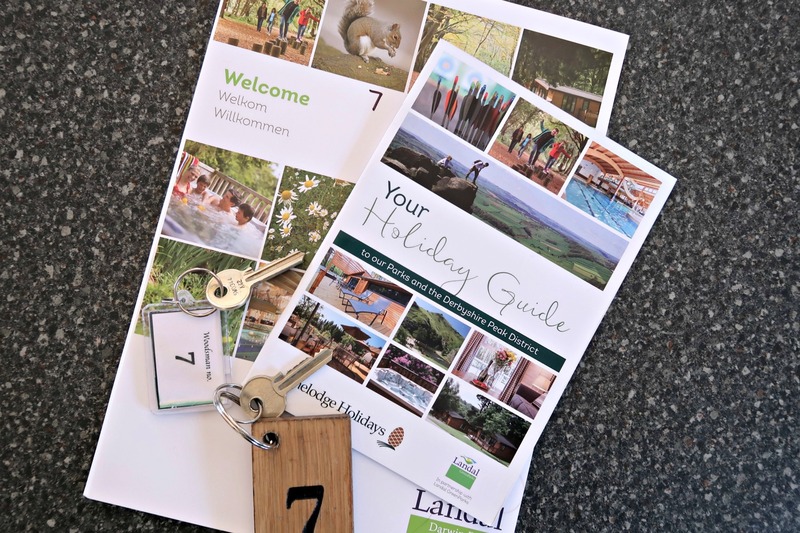 You are given a pack of information on arrival, these include things like the hot tub rules, safety information, activity timetables, local information and other general things. Inside the log cabin is a bigger folder with different policies, how to use the oven etc. 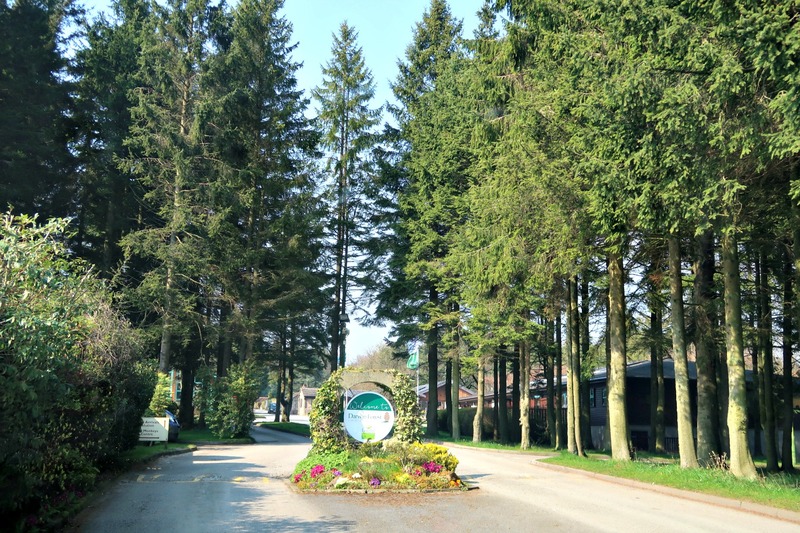 Each lodge has space for two cars to park, cars are able to be left there and do not need to be returned to a main car park. This pleased Hubby as he likes to keep a close eye on his car! The Elite Vogue log cabin was so much bigger than I expected. In all honesty I’m not sure what I expected, something older and definitely smaller. It was extremely spacious yet had a very cosy atmosphere with modern features. 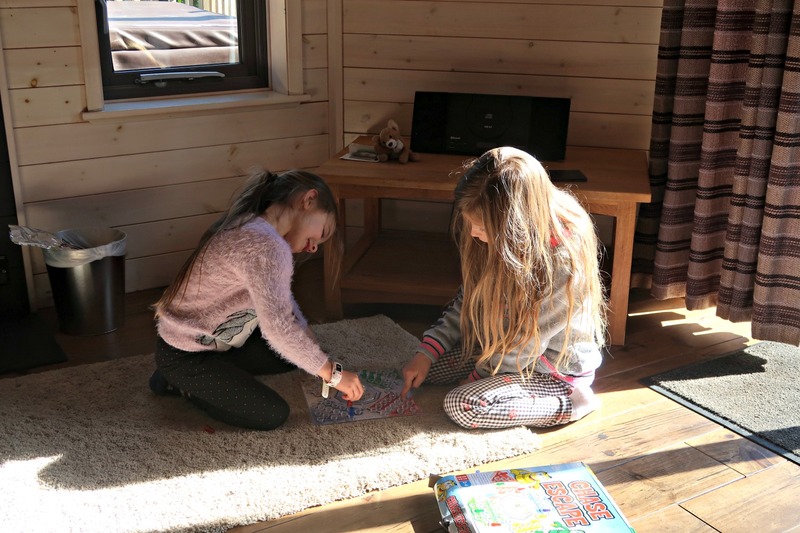 As a wood cabin is, the walls and ceilings are wood panelled. It’s stunning! As you walk in through the front door there’s lots of storage for coats, a cute little bench for sitting to put your shoes on. The cupboards house things like the ironing board, hoover, mop and clothes airer. The lounge area has two large fabric sofas. A beautiful soft rug, Bluetooth radio/speaker and a decent sized television. There’s a stunning electric heater that looks like a genuine log burner. Eva loved laying in front of it and it really helped to heat up the cabin. The rest of the house, including the dining area, is heated by electric radiators/heaters. They were really powerful and we always felt warm inside the cabin. The dining area seats six people. It’s a lovely sized wooden table with leather chairs. The placemats are all on the table. Right at the front of the cabin are two sets of doors that open onto the decking area. These let in so much light especially during sunset. The kitchen was so surprising. It was so equipped with everything you could think for a self catering holiday. There was a toaster, kettle, microwave, oven and bobs, fridge and freezer, dishwasher and even a washing machine! I never expected to find a washing machine in the cupboard. Not only did it have the utensils and dinnerware for more than enough people, they also included dishwasher tablets, dish cloths, washing up liquid and disinfectant. I was very impressed! Having the open plan living arrangements worked really well for us as a family. We could keep together and enjoy family time whilst cooking or working on my laptop (I know, i should have been in holiday mode). The master bedroom had tall slanting ceilings, again with beautiful wood. The bed was a really good sized double with all linen provided. I was pleased to find two sets of pillows for each person. However, they were quite thick and a little firmer than I like for my pillow so I ended up only sleeping on one. There was also towels provided for each bed (so 6 in total for our log cabin, plus a few hand towels too). The master bedroom had a huge wardrobe with plenty of space to hang up clothes or fold them on the shelving in there. There were three small drawers inside the two bedside tables and then a large chest of drawers that had the small television on top. The master bedroom had an en-suite too, such a novelty for us. It was a really good size with a large shower. I didn’t use the shower myself, but Hubby said that it was extremely powerful. Pinelodge Holidays Darwin Forest also provide some travel sized toiletries; shampoo, condition, bath & shower gel, body lotion and a soap bar. I love it when hotels and resorts do little things like that. Freya was very pleased to acquire herself a double bed for this trip. The room was a little smaller than our master, but still had loads of space to move about in and the wardrobe was also a decent size too! At night time it felt really cosy in there. 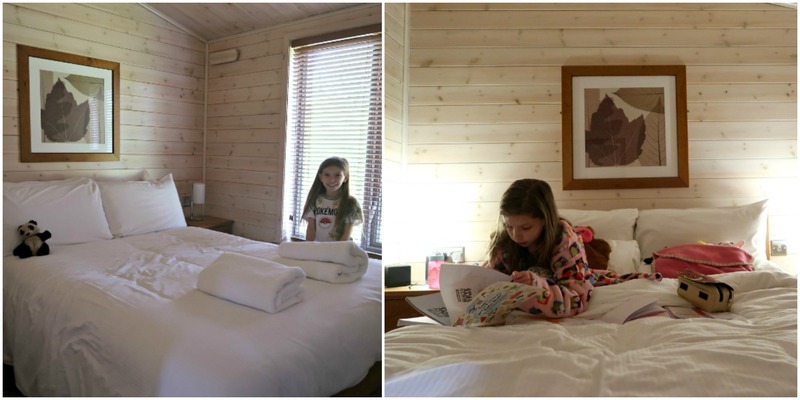 A note to parents, all of the bedrooms had slat style blinds which did let some light in during the early evening (now the clocks have gone forward), however there are no street lamps so the room was very dark. Eva and Elsa shared the twin bedroom. Just like Freya’s double room, there was plenty of space to move around in and a really big wardrobe. The single beds were a really good size, I have been to previous accommodation where the single beds were very thin, these ones were not. I know because I ended up snuggled next to Elsa on many of the mornings she woke early due to being scary of the dark. I’m going to start at the most exciting part for me – the bath tub! My goodness it was amazing. It was so deep and big. Can you tell I thoroughly enjoyed my bath times?! They also provide a non-slip mat for the bath and a bath mat too. Toiletries are included again in this room. 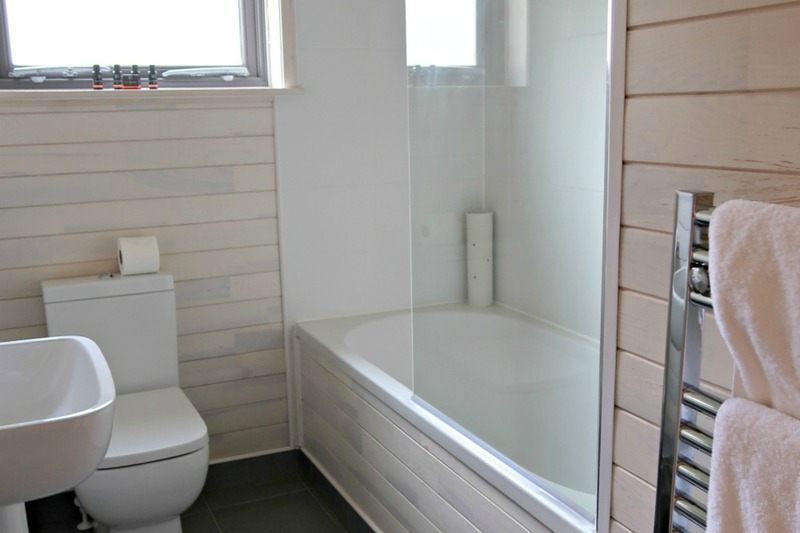 The bathroom is spacious and bright. You are supplied with one loo roll in each toilet, we actually brought our own with us as our girls go through it like water. Not all of the log cabins at Pinelodge Holidays Darwin Forest come with hot tubs. Thankfully ours did as Hubby loves a hot tub, so much so he’s considering getting one for our own garden. 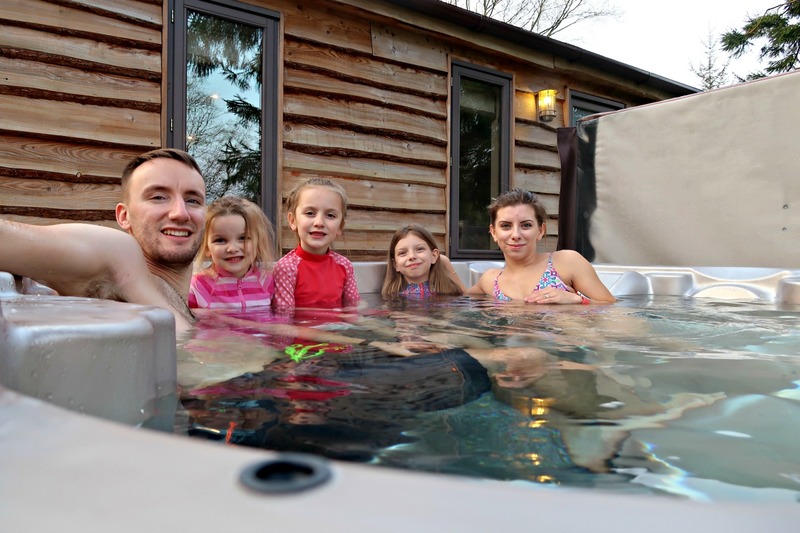 As part of your information pack, the hot tub rules are quite in depth. Things like making sure you go to the toilet, not to use it past 11pm. The hot tub gets checked twice daily which is brilliant and they don’t need you to be there either. The girls really enjoyed waving at the man in the mornings. We used the hot tub once a day in the evenings. The girls loved it! Hubby and I also had a relax after the girls went to bed. It was rather creepy at time time and the contrast between the warm water and cold air was amazing! Pinelodge Holidays is a self catering resort. When we checked in we were given a complimentary milk voucher to use in the onsite shop. Elsa loved that she could pick up a “baby” milk as she calls the tiniest cartons. I was pleasantly surprised at how well stocked the shop was. Everything from makeup remover, eggs, meat, Yorkshire puddings to things like gifts and toys to keep the kids occupied. We used the shop several times to grab some chocolate for making Easter nests, some delicious sausages and of course buying sneaky sweets too. We’d actually brought most of our food with us from home. There are two onsite places to eat. The Explorers Cafe which is adjacent to the Little Monkey’s Soft Play (I’ll explain that in a bit). It serves breakfast, lunch and dinner items but it is very traditional cafe food rather than sophisticated dining. The other option, pictured above, is the Foresters Bar & Restaurant. Food is served from midday until late. Pets are welcome in the outdoors area and there is a playground attached for customers. 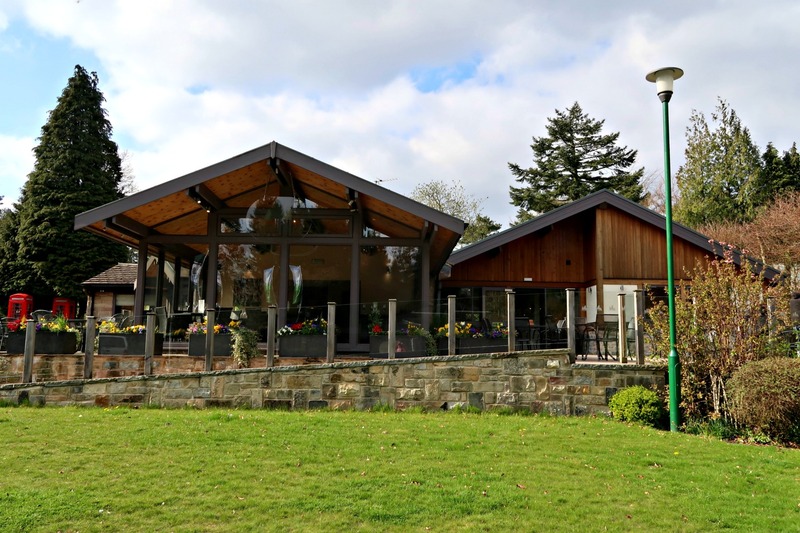 The restaurant is open to both park guests and public so it really is recommended to book a table ahead of your visit, especially in peak times. We sadly didn’t get to eat there as we had such busy days but the food sounded amazing in the menu. 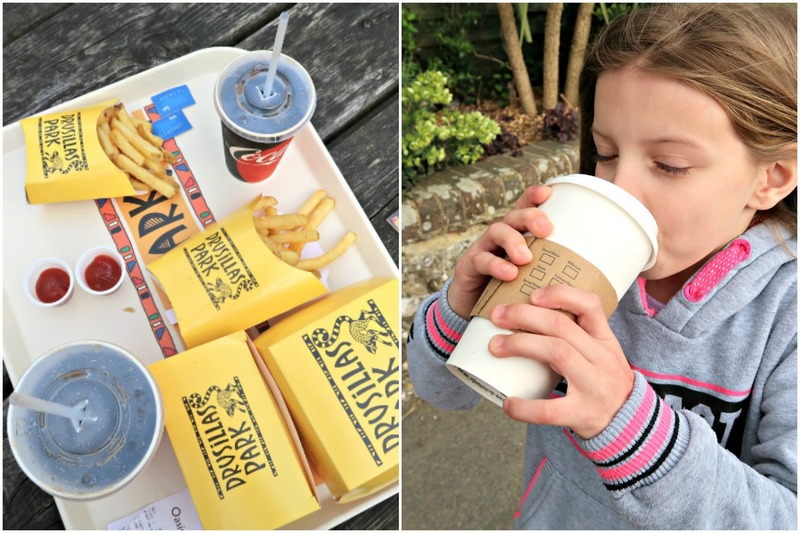 They also offer a takeaway service so you can take the food back to your cabin. There is a brilliant health and fitness centre onsite. Inside there is a Spa Area, beauty therapy and massage, state of the art gymnasium complete with a the ability to book a personal trainer and of course the swimming pool. 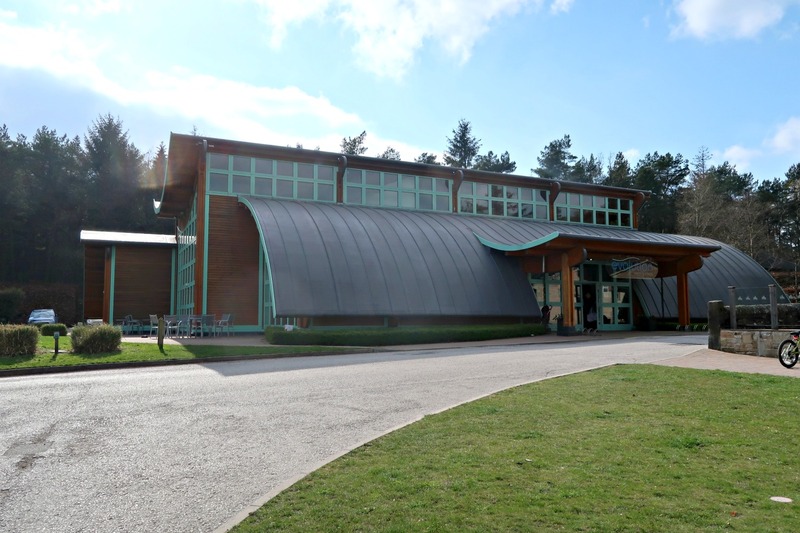 As a guest at Darwin Forest you are able to use the swimming pool free of charge, it’s open until late and shuts for certain activities (I’ll talk more about those in a minute). The other facilities like the spa, gym and beauty area all have fees. You can use the gym for £3.75 a session. We used the pool twice during our visit. On the first time, we actually arrived earlier in the day (about 4/5pm) and it was very busy and we was asked to come back a bit later which was fine by us. We then went back at just gone 7pm and we pretty much had the pool to ourselves except two other people who were using the lanes section. This was the same for the second session we did. The pool is warm and we didn’t feel shivery or cold at all. There’s a shallow area for younger children that leads into the deeper area. The pool then has the same depth throughout. The girls loved the pool! It was simple but very effective. I do have one niggle about the changing area, although very clean everywhere with body wash in the showers (which the water was also warm), the floor was very wet everywhere! Not just a little bit it was rather deep in areas. I know that’s to be expected as it’s a pool changing area, but there’s nothing worse than splashing through water when you’re trying to get changed or dropping your clothes into it. Other than that, the changing area was well equipped with toilets, showers and free hairdryers. You need a £1 coin for the lockers which on one occasion we had to borrow from the reception. The staff are so friendly and welcoming. I clearly hadn’t read the information pack properly as I stumbled across the Activity Den one evening, completely out of the blue. 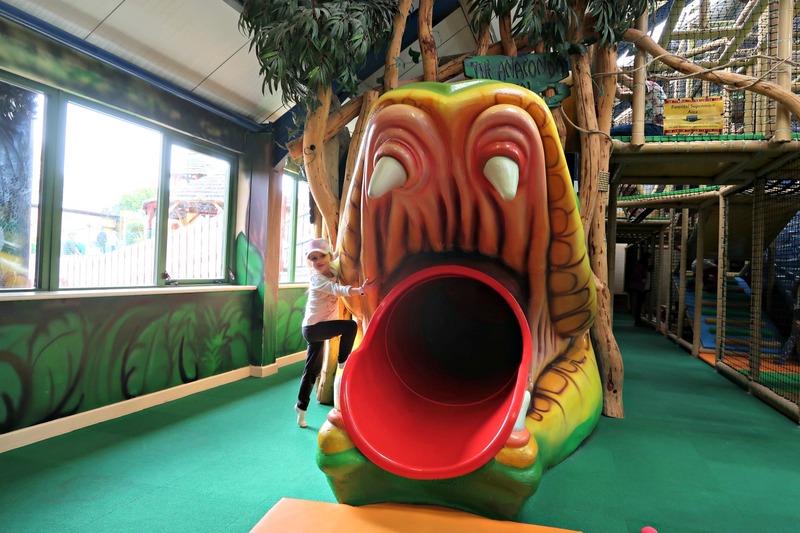 Inside there’s an Arcade Room, Pool Tables upstairs and a complimentary soft play for under 5s. The soft play was actually empty when I found the room, I now realise it was past the opening time for it although the door was unlocked. It closes at 6:30pm which I think is far too early. 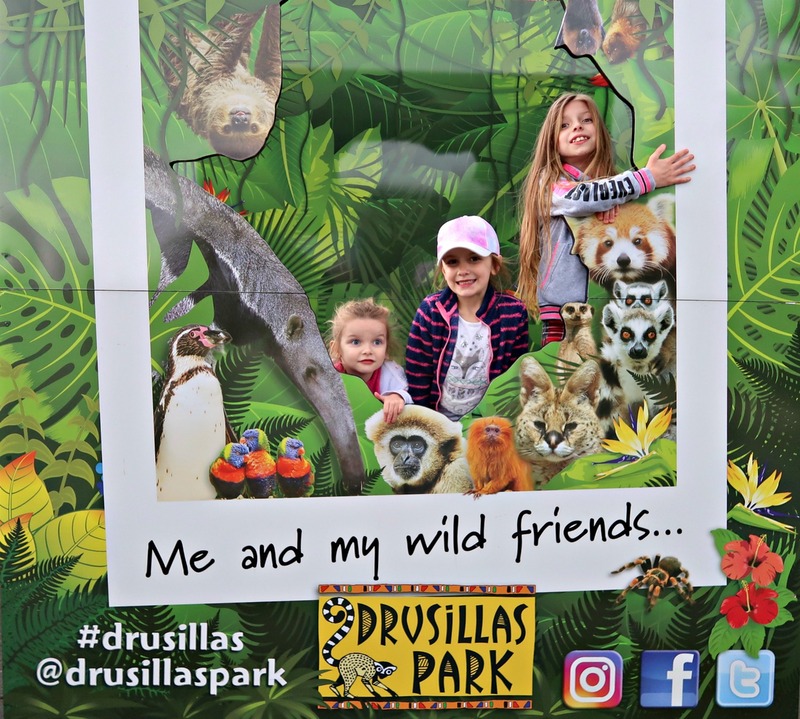 If you take into consideration a family day out then you potentially wouldn’t arrive back to Pinelodge Holidays Darwin Forest until 6pm. It should close much later in my opinion. 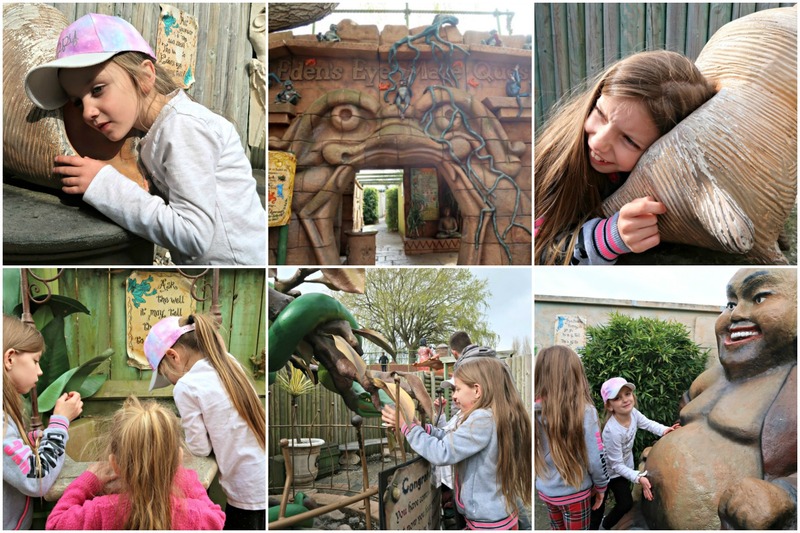 Another great option for kids entertainment if the weather is nice, is the outdoor playground that’s attached to the Foresters bar & restaurant. It’s for use by the customers of the restaurant and Darwin Forest guests. It looks very new and well kept. The girls loved it! 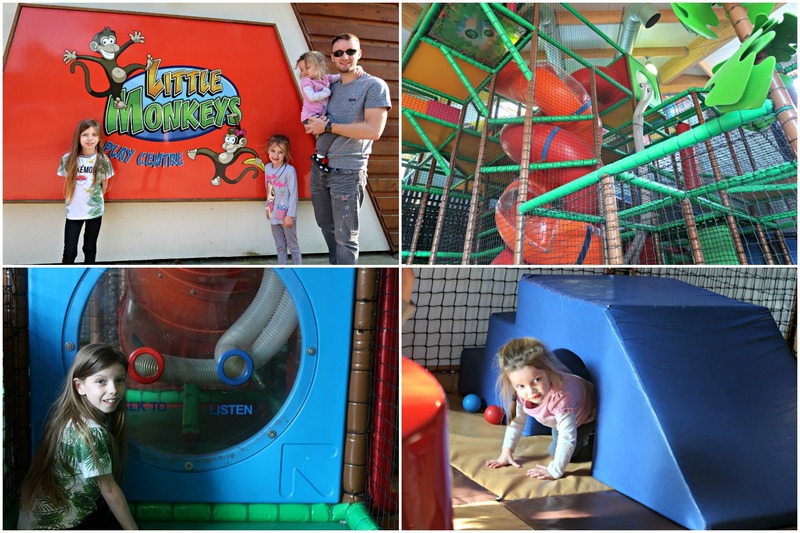 Little Monkey’s is a large soft play on site. 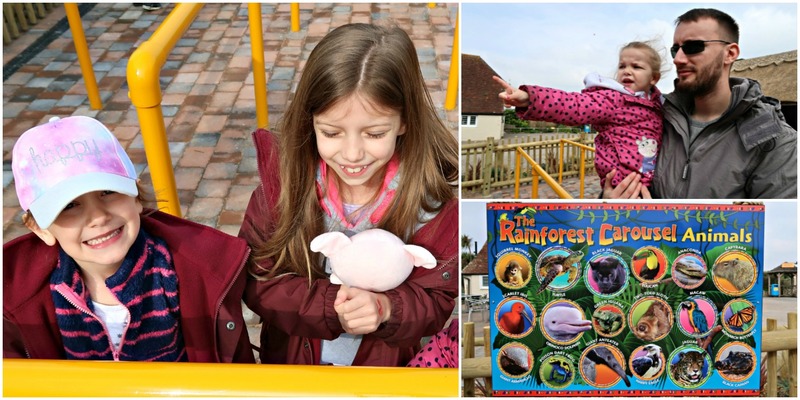 It’s open to public but Darwin Forest guests get a discounted admittance, it’s £3.50 per child. They also offer a meal deal during term time. 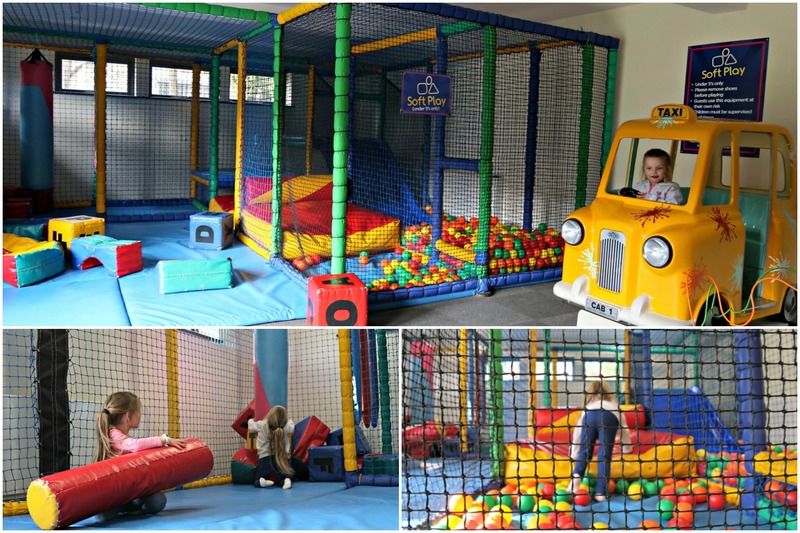 It’s a really good sized soft play that’s very clean! 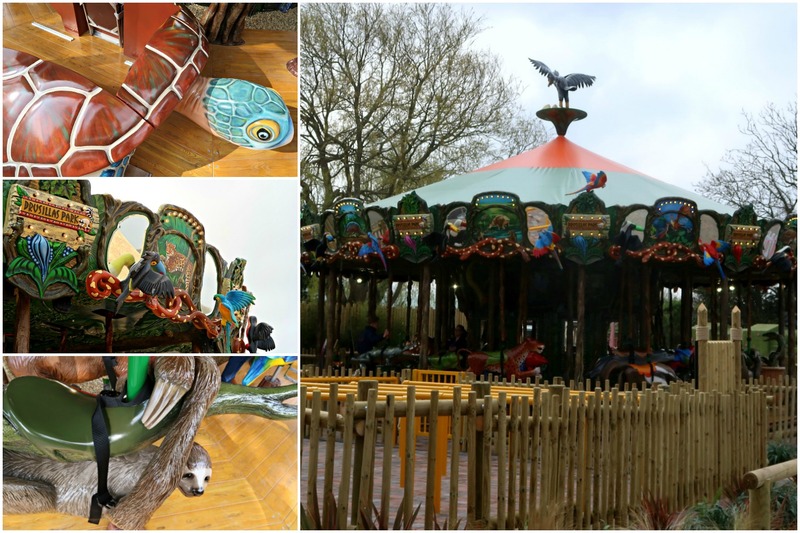 There’s so much going on at Darwin Forest but one thing I was quite excited about was the Trim Trak. We decided to go for a walk on our first evening to have an explore. For anyone who doesn’t know, a trim trak is an obstacle course. There was loads of different things to explore in the woods including cute fairy doors carved from logs, an amazing naughts and crosses board also made from wood and loads of woodland to explore too. Darwin Forest has a laundry room. 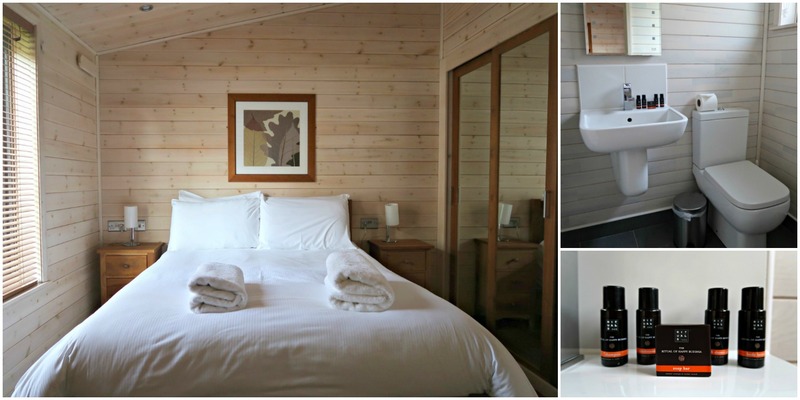 All 3 and 4 bedroom lodges, like ours, have a washing machine as well as Meadow and The Glade lodges. But this little building is for other guests to use to do their laundry. 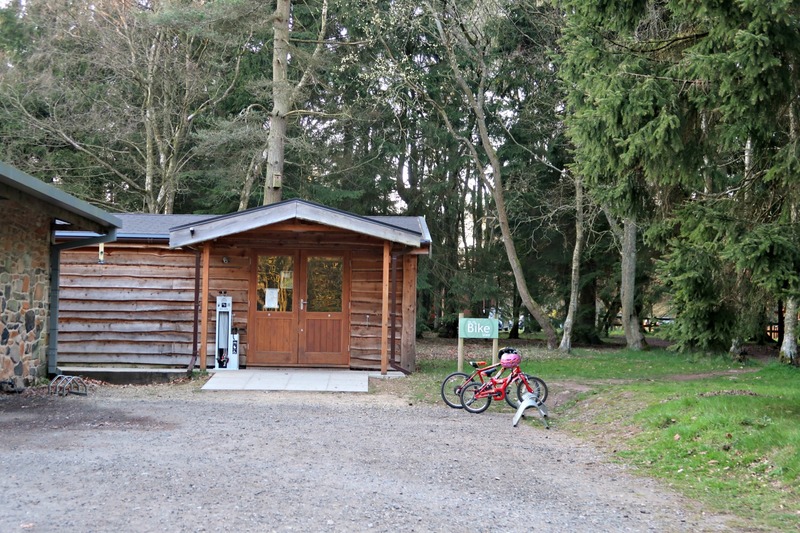 You can hire a bike at Darwin Forest too and there’s also a mini-golf course and tennis court, these obviously have fees attached. Darwin Forest also have a variety of activities in a timetable that you are given when you arrive. This includes things like Archery, BodyZorbing, snorkelling, fencing, mini jet ski and WaterWalkerz. Sadly as our week was pretty jam packed we didn’t manage to book on to anything but I watched others take part on Instagram. One other great thing that Darwin Forest offer is DVD rentals and a game swap. They actually put a game in every lodge which you can swap out for free when you are done. I love that incentive and it’s a great way to bond without technology. The DVD rentals do have a cost involved. As I said earlier, we had a pretty jam packed week. We had a total of four days in the Peak District and these are just a small collection of what the county had to offer! 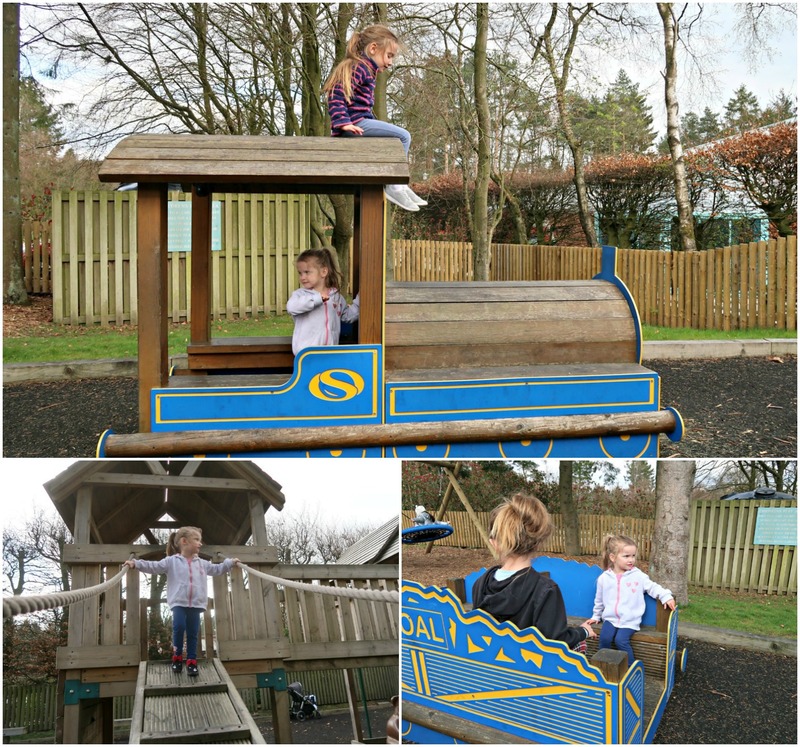 Matlock Farm Park – We visited in our first day, it was a pretty cold day and this is definitely a good weather attraction. 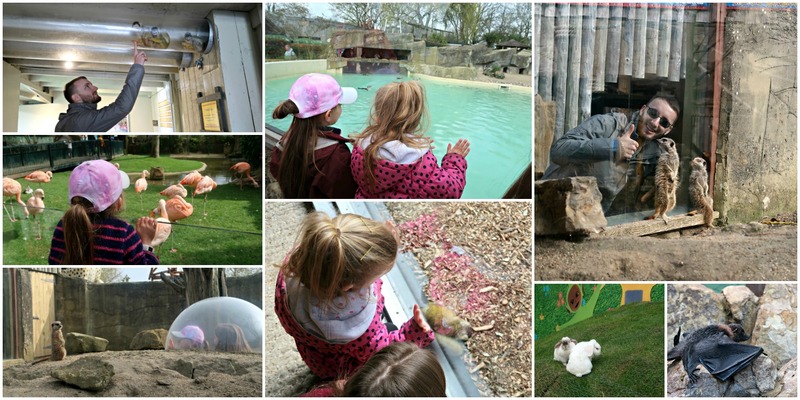 The animals were all so friendly and we was able to bottle feed lambs and feed meerkats as part of their daily timetable. 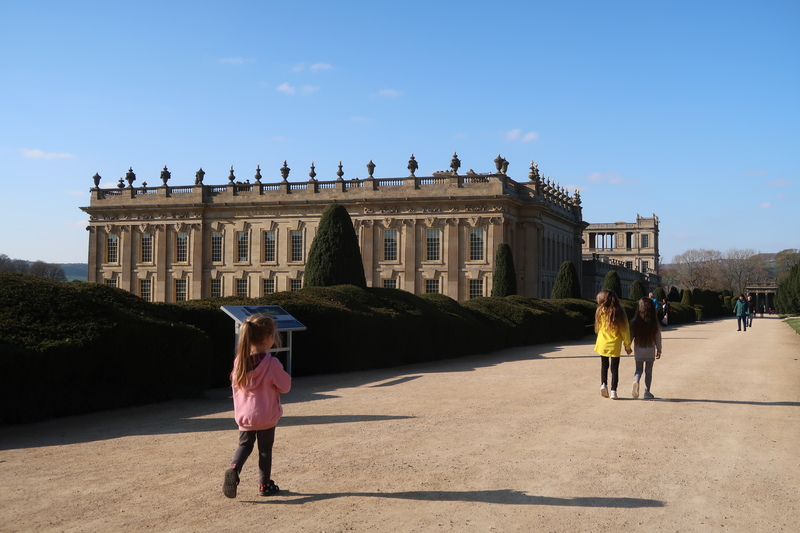 Chatsworth House – There’s various ticket types with this one, we opted for the “everything included” ticket meaning we had access to the house, farmyard and gardens. 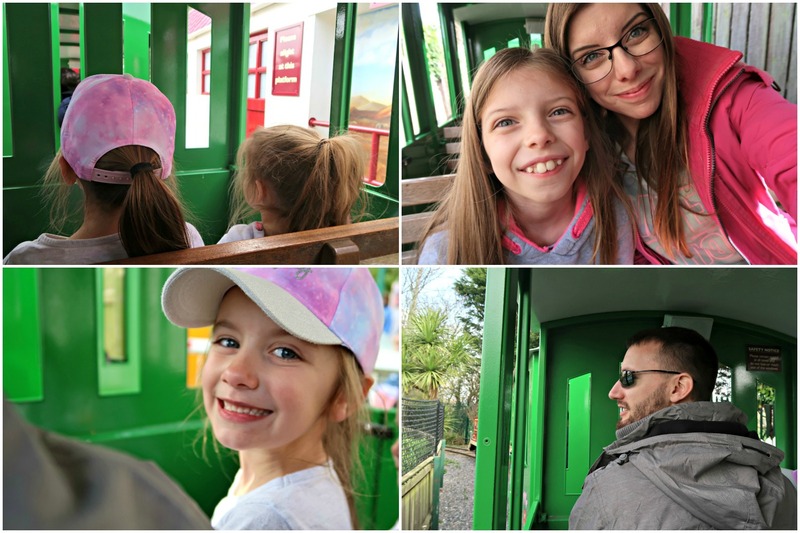 This was one of the best days out we’ve ever experience and I’d truly recommend to anyone. We actually didn’t manage to get round it all. 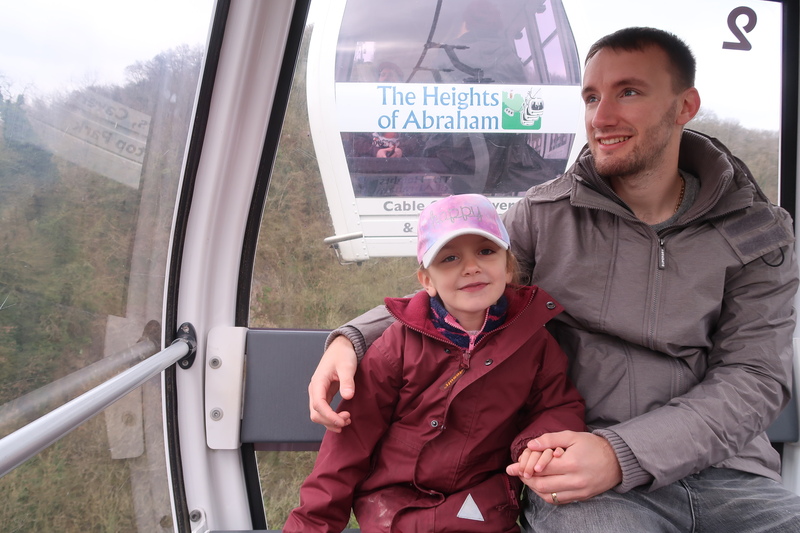 Heights Of Abraham – You take a cable car up the hillside to two incredible caverns and two children’s play areas. It was a really interesting day and we all had a brilliant time. 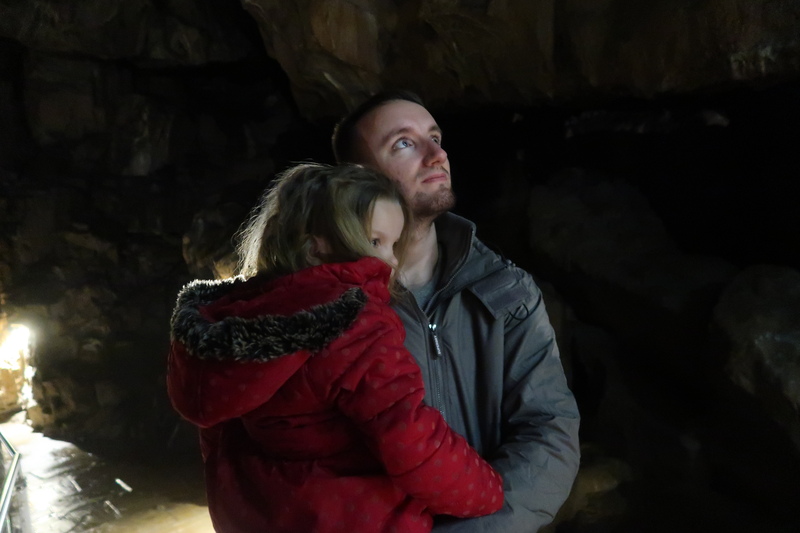 Poole’s Cavern – This is a short drive from Darwin Forest, but a lovely visit. It is definitely a half day or less type of attraction with a tour in the caves. There’s also a country park if you fancy a walk and the cafe made some very yummy cakes! In fact all the food was a really good price. As always, I am uploading our daily vlogs. They may not all be there right now as it takes a while for me to edit. But please subscribe so you don’t miss them! I was really sad leaving Pinelodge Holidays Darwin Forest. It truly felt like a home from home, with less clutter anyway. It was a great base for adventures yet had plenty to keep us occupied onsite too. All the staff were so helpful. The whole site was clean and quiet (except one night where we had neighbours playing music quite late but thankfully stopped at 11pm, not Darwin Forest’s fault). 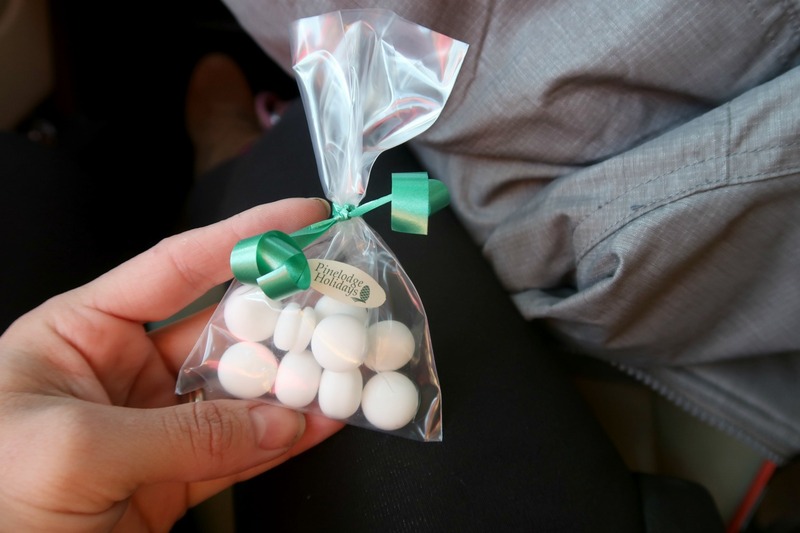 When we checked out we was given a little gift of mints which was a lovely touch. 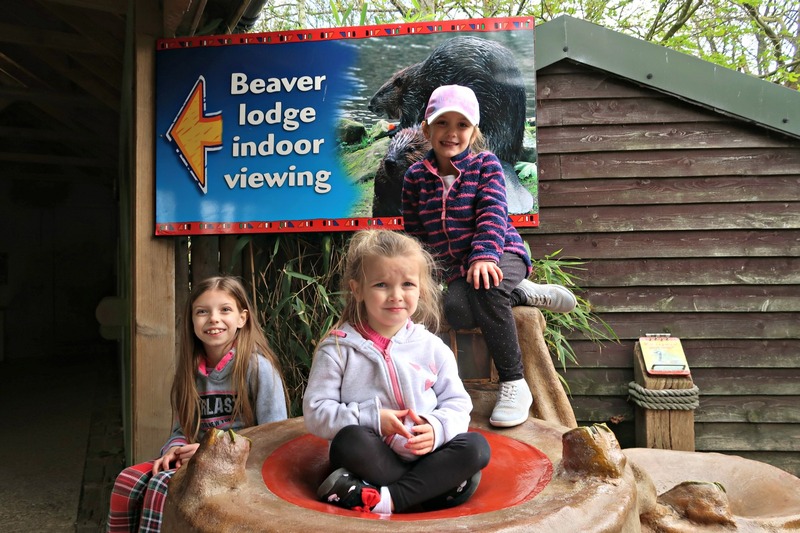 We will 100% be returning as everyone is already missing the Peak District, Darwin Forest and the amazing attractions close by. 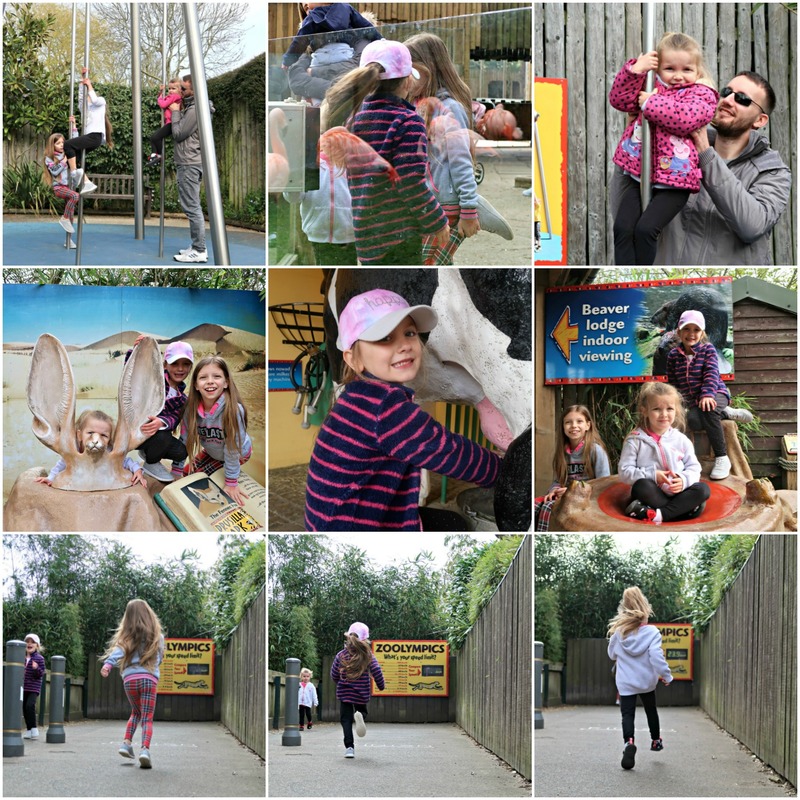 The post Siblings 2019 – March appeared first on Life With Pink Princesses. It suddenly dawned on me that I hadn’t posted my March siblings post. I think it’s because our lives have got very busy, we’re planning something super exciting as a big surprise, and we’ve been on two consecutive press trips (blog posts coming soon) so everything else has definitely been taking a bit of a back seat. Freya has been experiencing some serious emotional mood swings this past month. I’m blaming hormones rather than anything else at this time. She’s had some fun things going on at school with a Lent assembly and science week. She also had a river project to complete too. I had a meeting with Freya’s teacher at school and the SENCO (special educational needs coordinator). They are really impressed with Freya’s progress academically. 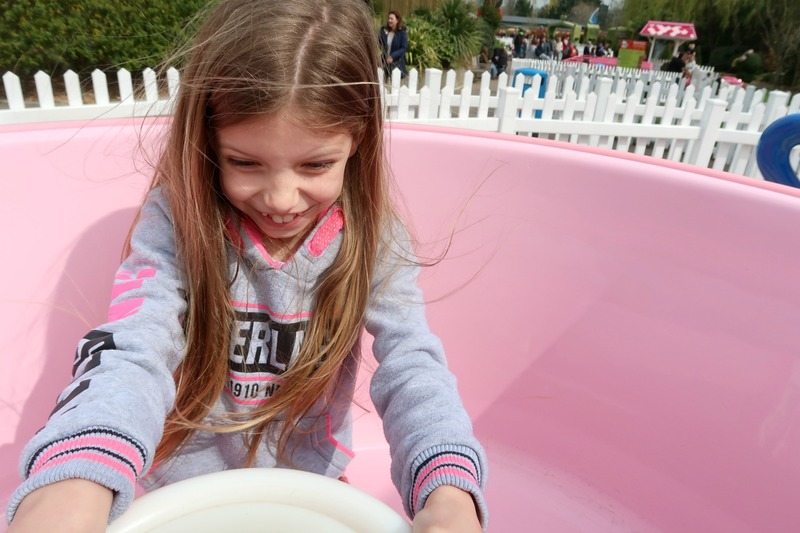 She’s also enjoyed taking part in her hockey club and starting gymnastics lessons too. I love that Freya has really begun to make solid friendships at the new school and she spends lots of time chatting with them out of school. She’s been invited on lots of play dates too. At home we are still struggling with some aggression towards her sisters. Generally though, March wasn’t a very positive month for Freya and I think we have a lot of work to do to improve Freya’s mental health stability. She seems caught in a rut of saying “I can’t” rather than really pushing herself to try. She gives up very quickly even on things she’s desperate to take part in like riding her bike. Eva has had a brilliant month with lots going on. She also started gymnastics which she loves! She also had her first school trip with the new school to Wagamamas. I helped and it was such a good trip. She also got involved in the science week. Eva’s year group lead a Mother’s Day assembly. It was the sweetest and most emotional thing I’ve watched my kids do. Eva spent lots of time practicing the songs and the passion in her little face on the day of performance was so cute! They even decorated cakes for the mum’s. Eva had her neck ultrasound in March too. She’s had a little lump in her neck for a few months now and the ultrasound was just to check nothing else was going on. Thankfully there isn’t. It’s a lymph node that has the potential to change in size if she’s poorly. We just have to keep an eye on it for any drastic changes. She was so brave though. Eva also celebrated her birthday with her friends. We hosted a party for 40 children!! It was stressful but we all had a brilliant time. I’m not sure we’ll do it again though! One party that size is more than enough. Elsa has been the usual complex little character she’s always been. Over March she has started a little habit of every Saturday night waking at 11pm and being unsettled or not even going back to sleep until 3am Sunday morning. It’s draining and it’s happened for 4 consecutive Saturdays. I just don’t understand. 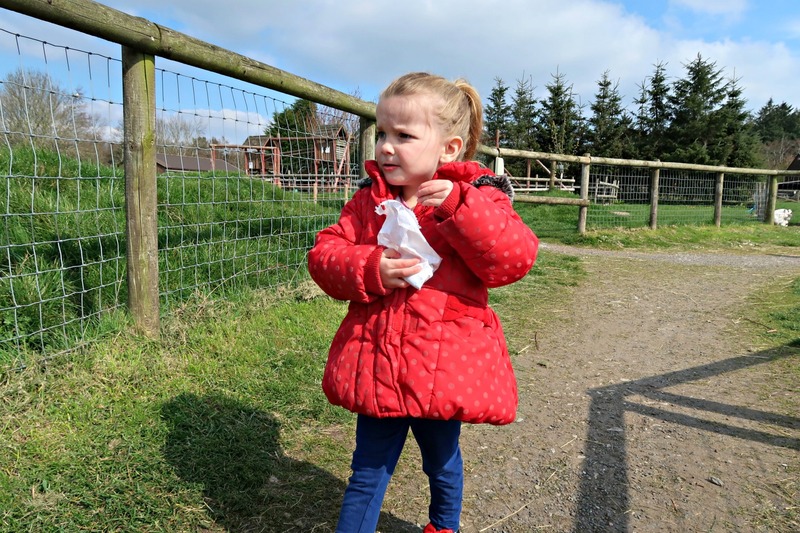 Elsa went on a little preschool trip to the local allotments in March. She wasn’t overly keen as I think it was a bit of an unknown. In fact there’s been a few niggly things recently that has pushed for me to get back in touch with our health visitor. I’ve been on a course for parents of children with autism, for Freya, and a lot of things have been popping up that remind me of Elsa’s characteristics. So we’ve decided to be referred to a paediatrician to see if she may also have autism like her biggest sister. I believe she does. Mainly sensory but that’s all for another time. 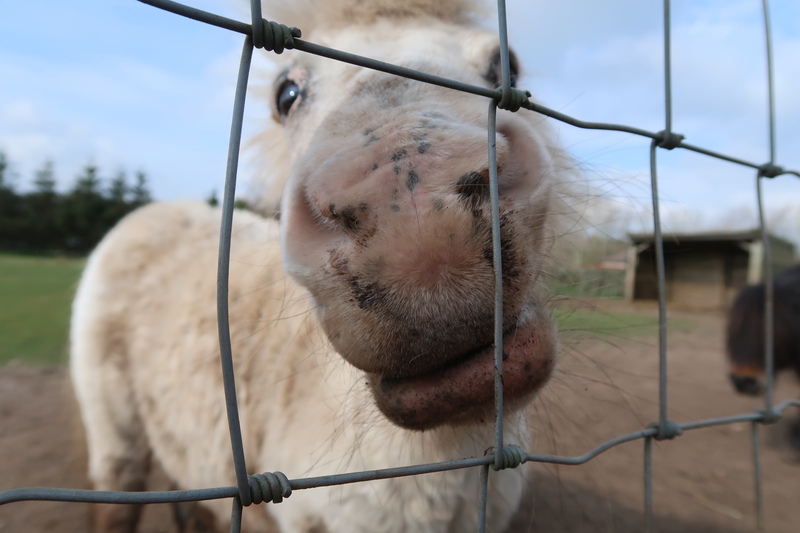 Elsa is still as cheeky as ever, she’s an absolute hilarious little character. I’m really sad about finding out her offered school place as that’ll mean the end of an era is fast approaching and I’m not quite ready to embark on Elsa’s primary school journey. So as a three some. They are a handful! As they grow older they are becoming easier to manage but also so much harder because they are louder. All three fighting for attention at once. It’s relentless and tiring. However, they are such a joy to be around when they’re fed, awake and happy! April is going to be a busy month due to the school holidays and a the press trips I mentioned above! Hopefully I’ll be on time with posting. 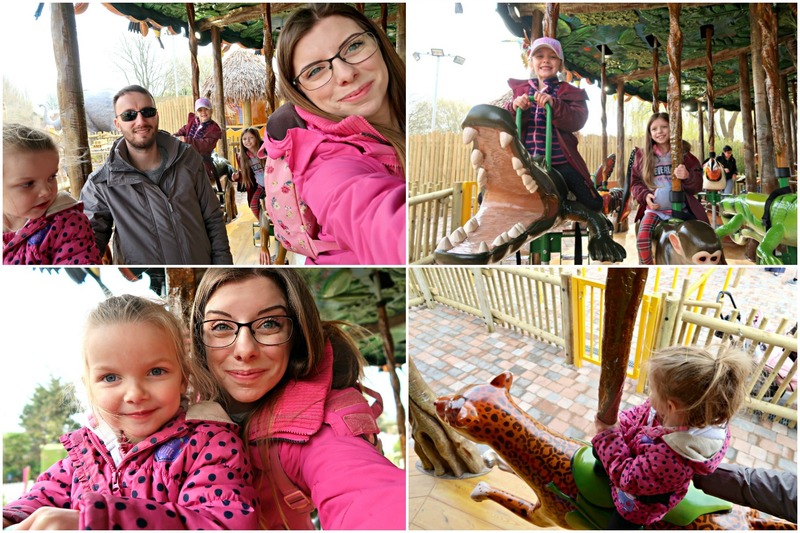 The post New Rainforest Carousel At Drusillas Park appeared first on Life With Pink Princesses.